Catey Shaw in Brooklyn Girls. First, I’d like to congratulate you on your album, called I believe The Brooklyn. It’s really hard to break into and build success in any creative industry and I’m sure you worked very hard to get there, so kudos to you! I read about your rise from a busker playing the ukelele on the subway platforms to a music star. Very inspirational stuff, and I am glad for your success. However, I have recently watched your first single called Brooklyn Girls and I’m a little perplexed as to what borough you might believe you are representing in both your lyrics and your video. Unfortunately, Catey, instead of a video celebrating the capable, creative, brilliant women of Brooklyn, it seems you may have only decided to shoot your video in a Bushwick block party and left it at that. That’s cool, of course. That’s your privilege. As a musician and a creative person, you get the choice and the opportunity to put anything you want into your music and your videos. Freedom of creation, freedom of speech, of course. However if I might offer a suggestion, there is a lot of Brooklyn you seemingly forgot to include in your song in a rush to represent women of the whole borough. 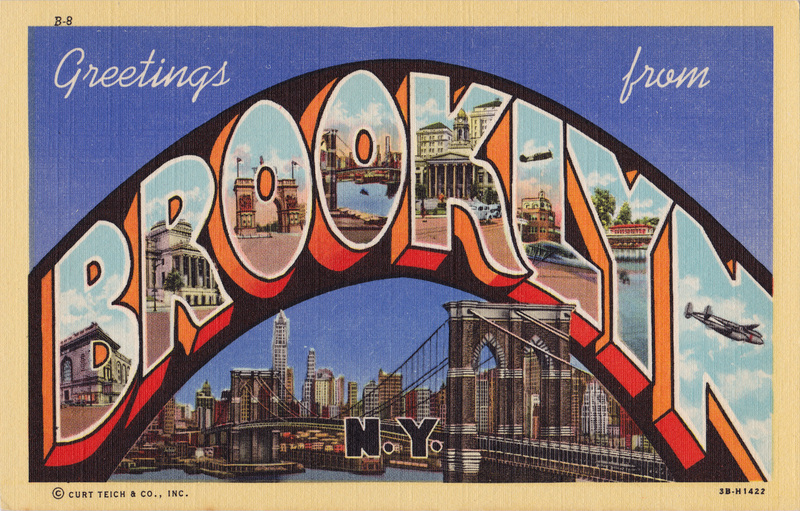 Welcome to Brooklyn – not just the trendy parts. See, Catey, having grown up here I’m aware of the different parts of Brooklyn, aware enough to know that I haven’t even scratched the surface in exploring the nuanced, complicated place I call home. But my neighborhood of Midwood alone represents dozens of groups of people from all over the world. I grew up in an apartment building where you could hear people talking in ten different languages, cooking foods from everywhere. In my neighborhood alone you could get takeout from four different continents. The buildings in your video, unfortunately, seemed to a lack that diversity that helps make Brooklyn the multicultural center it is. And if I might say so, Catey, your video was a little whitewashed too. But hey, that’s cool, if that’s the neighborhood you live in when you migrated to Brooklyn from Virginia Beach, that’s cool. Brooklyn is a wide place, Catey, and much bigger than the newly gentrified Bushwick and Williamsburg. Those areas, newly ‘cleaned up’ with their microbreweries (delicious as they are) and adorable cafes, are only a small part of the Brooklyn I know. Those areas, in fact, are what I like to call the most sanitized parts of Brooklyn, long since decimated of the organic neighborhoods that once grew there in favor of making room for younger transplants from out of town who are willing to pay any rent (even the most exorbitant) to be near the Big Apple. But they are your home, so that’s cool. 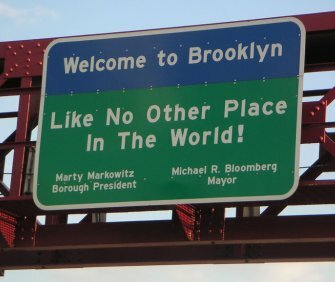 You are representing your Brooklyn experience, and that’s awesome. But it’s not my Brooklyn. My Brooklyn is Coney Island to Downtown, Bushwick to Greenpoint to Bay Ridge. Perhaps a nostalgic point of view, but my Brooklyn is an inclusive one, with even room for those overpriced, upscaled, rent-inflated areas that are considered hip and trendy. It’s got room for your view of the city, Catey. It’s just pretty sad that your video doesn’t have room for mine. So once your album is out and you’re done touring, Catey, I encourage you to skip the L train into Manhattan for a little while, and explore the rest of the borough your song title says you represent. And meet some of the other Brooklyn Girls (Women) out there, in their neighborhoods. I’m sure they’ve got more to talk about then all those times they hung out on the top of brownstones, or the times they got it on in the bathroom stalls. I’m sure you can then explain to them how tough and gritty you are, and you can explain why you think all the fly girls reside in your very select view of Brooklyn. You’ll have a great time, Catey, I’m sure. So thanks for listening, Catey, from one Brooklyn Woman to a Brooklyn Girl.